Since I wasn’t on the road this weekend I decided to vicariously get my traveling fix through a movie that caught my interest on Netflix. 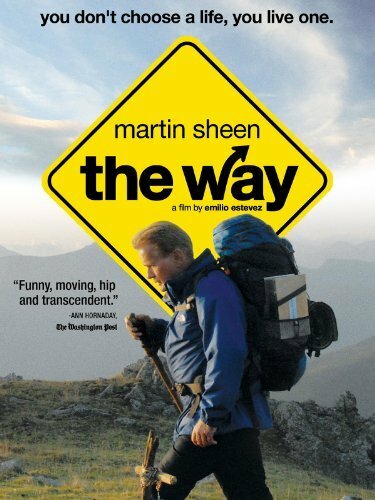 The movie, “The Way” follows the story of a man who hikes the “El camino de Santiago” in honor of his son, who died while hiking the trail. I have always heard of people backpacking through Europe, but I had never heard of “El camino de Santiago” until watching this movie. I think it’s safe to say I have something new to add to the bucket list. I’m all about movies that inspire the viewer and this was definitely one of those. One line that really resonated with me was, “You don’t choose a life, you live one”. This line was in the context of choosing a career path and if you want to have a family and being “stuck” with those choices. I would recommend this movie to anyone who wants to learn more about “El camino de Santiago”, who wants to watch a funny, heart-warming movie, or just wants to fuel their wanderlust. If any of you guys watch it, let me know what you think! Also, does anyone have any other movie suggestions for me to watch? Travel-themed or not, I’d love to hear some!